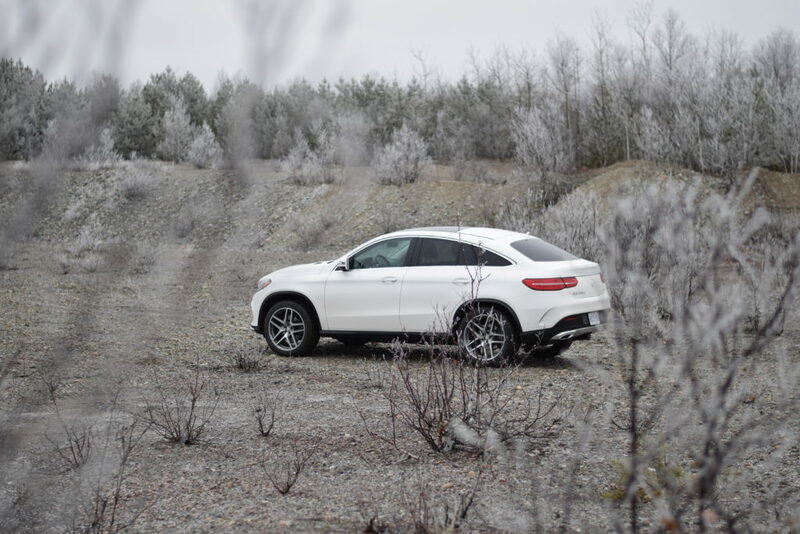 The new GLE Coupe puts yet another Mercedes utility vehicle on the table for crossover shoppers, as a unique body style alternative to the standard GLE, which recently replaced the ML as a good old-fashioned family crossover. 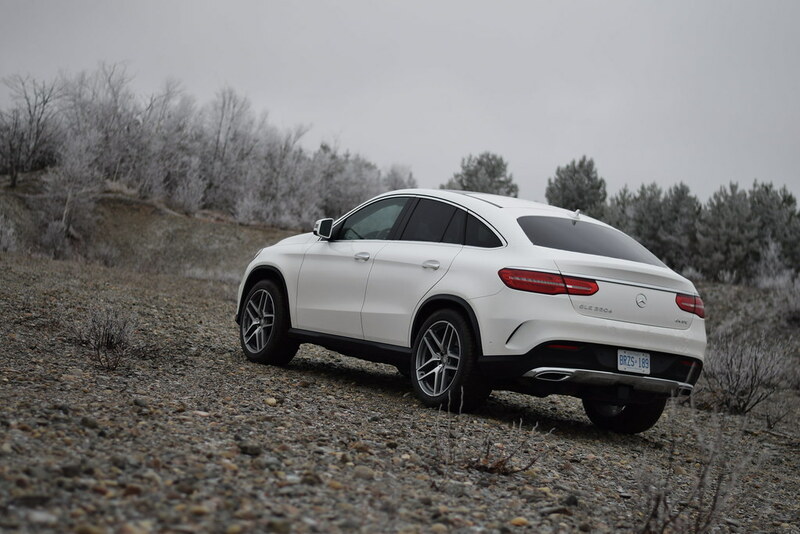 Go for the GLE Coupe, and you get a swoopy roofline and more elegant, curvaceous sculpting, all geared to appeal to shoppers that want uniqueness and selection. 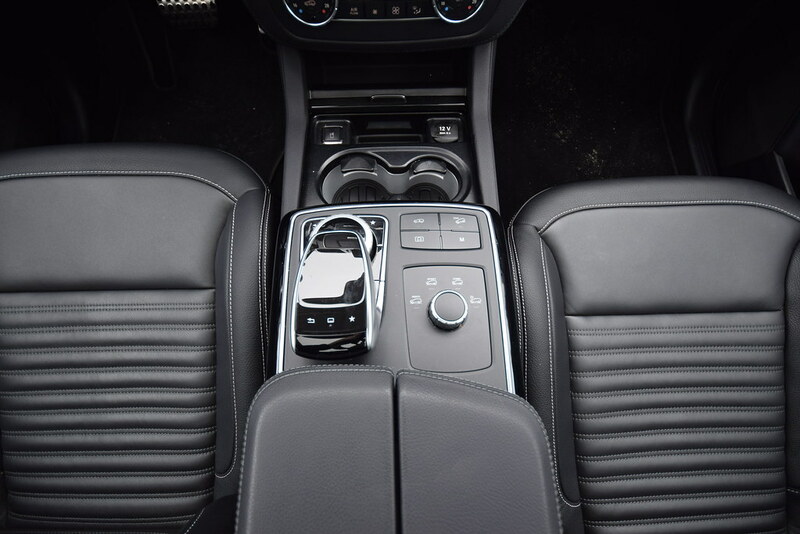 Largely thanks to the GLE Coupe’s intention of being both fit and capable, drivers access their sporty seat with a hop up on board, after clearing a fairly aggressive seat bolster with their thigh, which can be a little awkward. Ditto the driving and seating position, which sees occupants perched high and towering above the road, though simultaneously deep within the cabin and up close to its roof. Headroom diminishes quickly for those north of about 5”10, and outward sightlines, thanks to the thin windows all around, are limited. 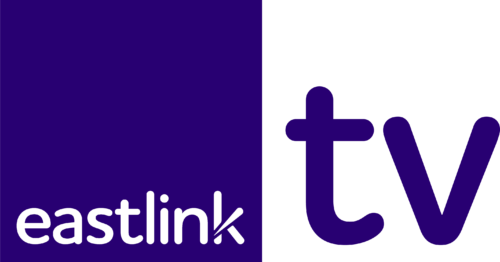 Get past the compromised visibility, entry and exit and driving position, and the utility and capability impress. First, the utility. The powered tailgate opens high, revealing a deep, wide, and flat rear cargo floor, complete with handy bins at either rear corner, a power outlet for your camping cooler or beach-toy inflator, and minimally invasive wheelwells. It’s all usable space, free of awkward bumps and bulges. With a rear seat or two folded, there’s even room for longer items, like a weekends worth of skiing or snowboard gear. 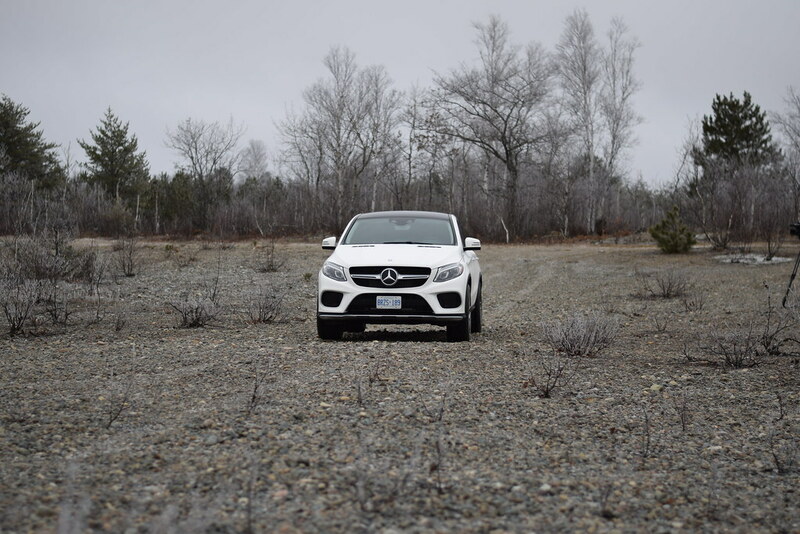 Though the GLE is a great hulking beast of a thing, you’ll still be surprised at the space available. Rear seating space is generous, and headroom is surprisingly good, as the roof doesn’t begin its descent until just behind where occupant heads are positioned. Capability in an off-road setting impresses, too. Tap a button, and the air suspension inflates, lifting the body high above its wheels for heaps of ground clearance over moguls, ruts and whumps. 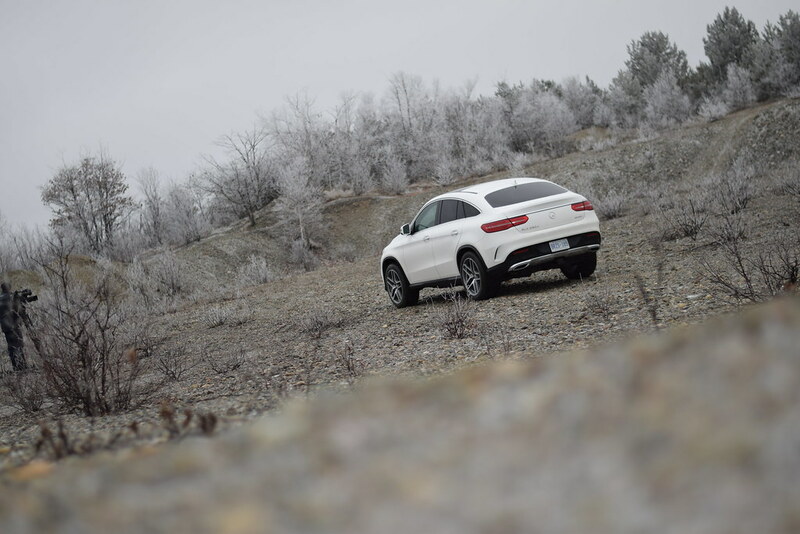 The low-end torque of the diesel engine sets the GLE Coupe crawling up and over virtually anything with just a glance at the throttle, and the downhill assist system engages at the first sign of a downward slope, meticulously inching the massive machine down even slippery grades. 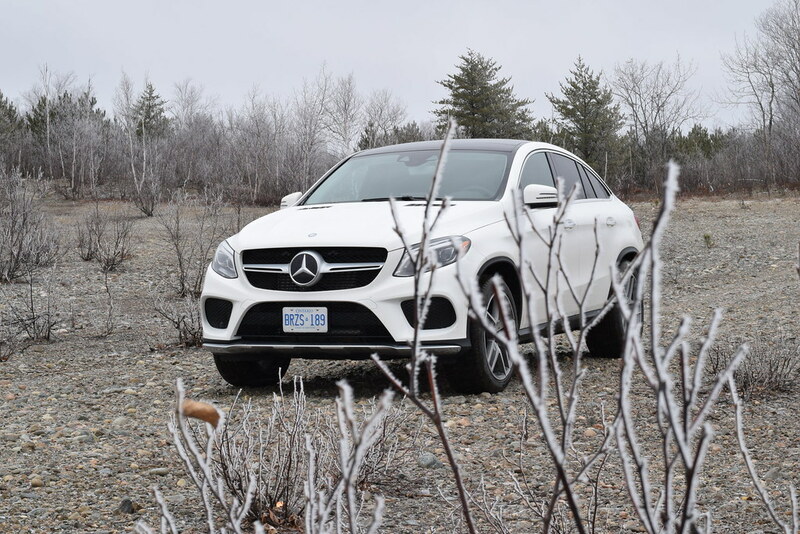 The 4MATIC AWD system feels truly intuitive in slippery, off-road settings, never wastefully spinning a wheel more than a half turn. 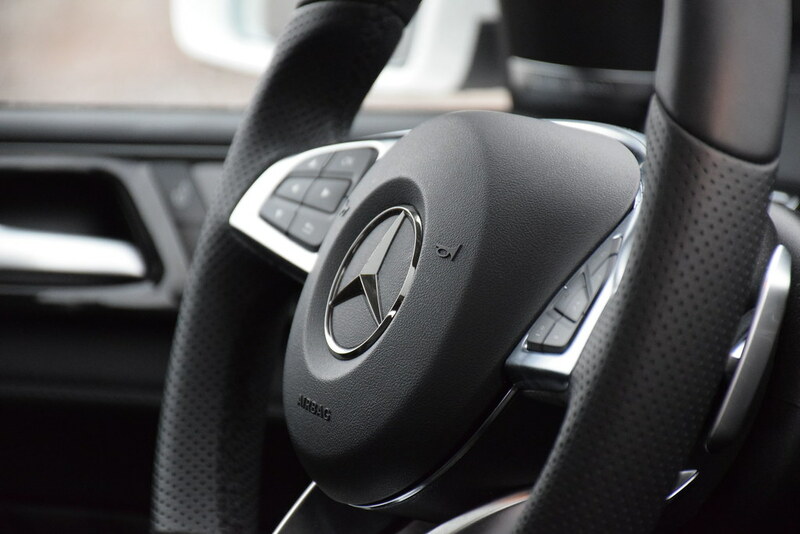 Impressively, with the vehicle pitched in three-wheel mode, you never feel the airborne wheel rotate. It’s as if the AWD and suspension systems are in cahoots. I never once felt the tester struggle, even slightly, to find traction. 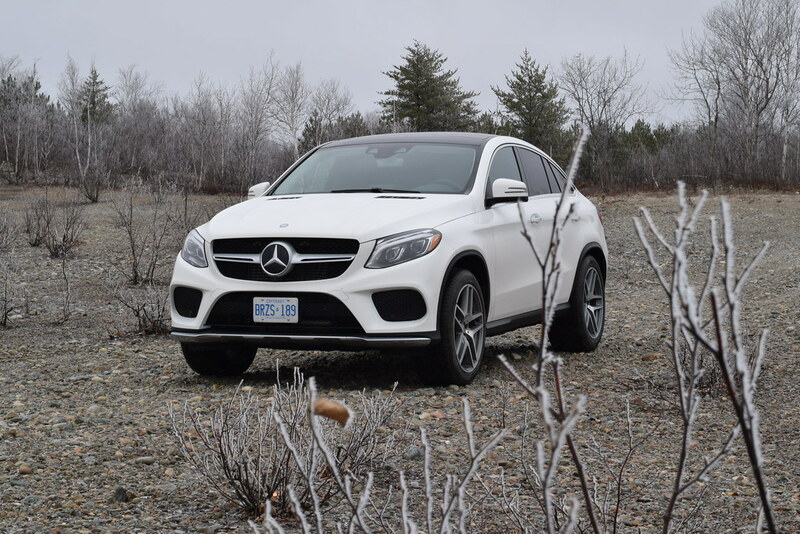 On the highway, the GLE rides like it looks like it rides: with a big, heavy and solid character. It doesn’t float on an elastokinematic cloud like a big squishy Lexus or Cadillac, and most drivers in locales with less-than-perfect roads should probably avoid the 21-inch AMG wheels, which look majestic but cause a degradation of ride quality on rough surfaces. On smooth roads, it’s largely comfortable, but discernibly on the stiff side. 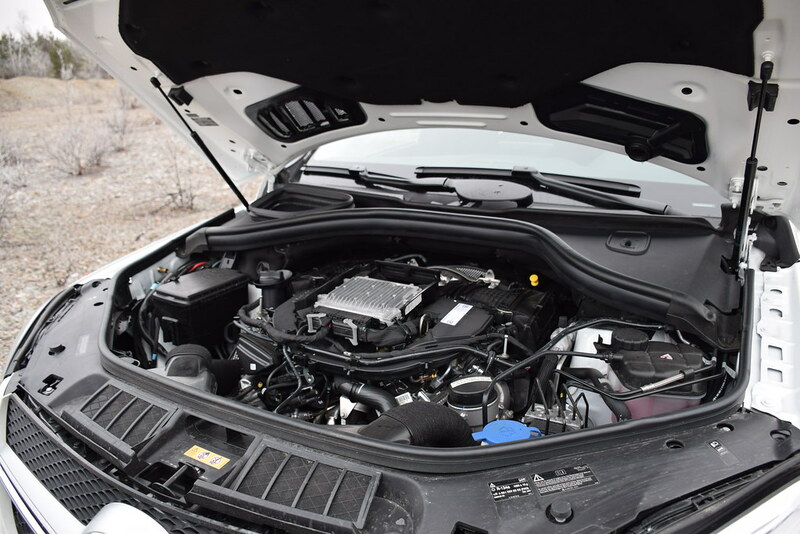 A 3-litre turbodiesel V6 with AutoStop and a 9-speed transmission is the entry powertrain, and for most drivers, is the way to go. Other than a slight (2 second) delay for startup in the cold, the diesel engine operates without compromise: it’s smooth, very quiet, and packs effortless low-end torque for oozing down the road, even at very low revs. Output is rated at 249 horsepower and a massive 457 lb.-ft, though fuel mileage landed at just 11.2L/100km on my watch. That’s V8 torque output, and a fuel bill comparable to a far less powerful vehicle. 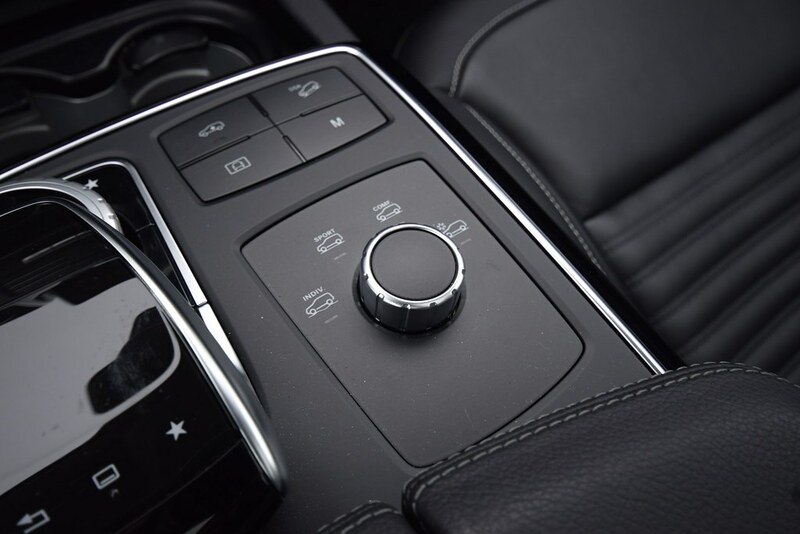 Other notables include the Climate Control REST function, which keeps the heat on a few minutes after you turn the engine off, so you return to a warm cabin after a quick trip into a store. The LED headlamps are fantastic too, and early engagement of reflective surfaces, and reduced eye strain after dark were noted. Further, you’ll run out of eardrum long before the Harman Kardon stereo runs out of firepower. 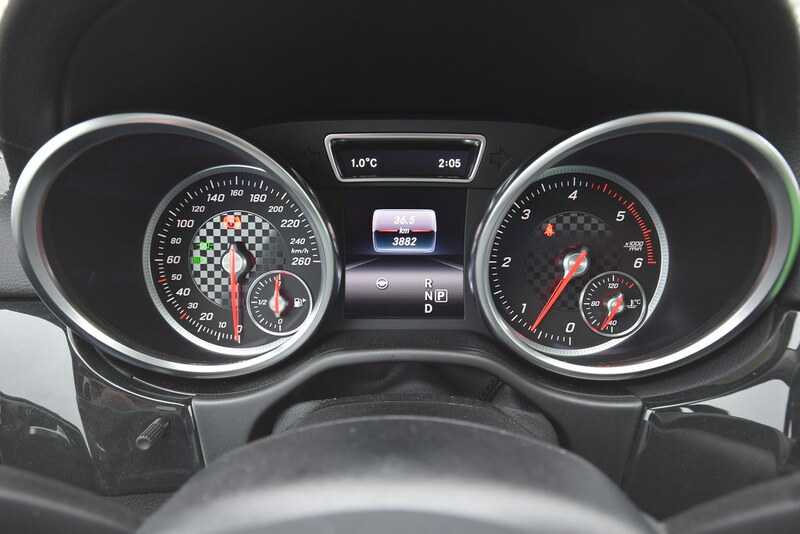 With enough camera, laser and radar hazard-detection to run a NORAD base, the GLE Coupe can fine-tune your steering inputs in relation to your lane markings, alerting of elevated collision risks and lane departures, and even steer you back into your lane if you’re vacating it without a corresponding signal. The systems work with a fine-tuned polish and precision, prove largely consistent, and work with minimal second-guessing. 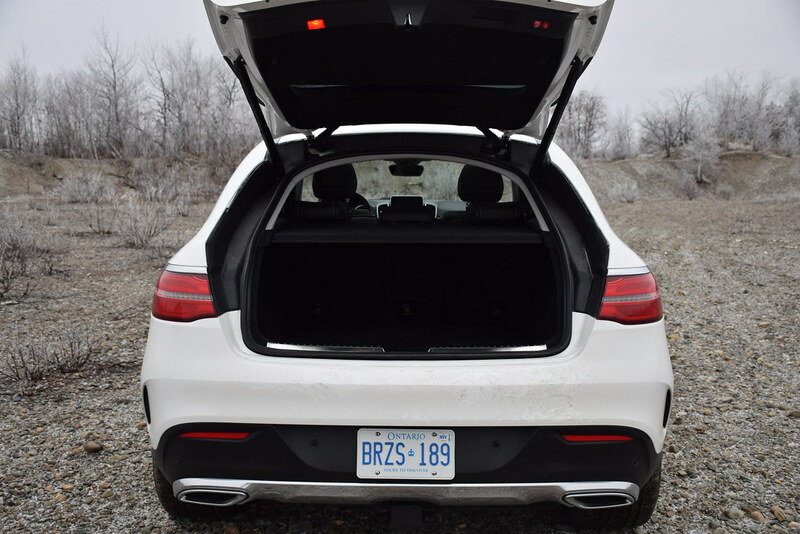 Ultimately, if you’re lucky enough to be shopping in this pricing ballpark, the GLE 350d Coupe hits the mark for unique looks and exclusivity, a gorgeous cabin, heaps of tech, and maybe even a little surprisingly, for some fantastic sports ute capability and functionality beneath it all, and with a highly respectable fuel bill. By and large, it’s a rolling selection of virtually all positive attributes on offer from models in its genre—once you get past the unconventional looks and driving position a little.